Ships to us from International Supplier Approx. Every 4 - 6 Weeks. Features Body constructed from No-Melt, No-Drip 60/40 Cotton Polyester Blend Base Layer Fabric. Helps to protect against Flash Fires and decrease severity of burn injuries. Moisture Wicking and breathable materials. 1/4 Zip Mandarin Collar. Additional Information Zippered Sleeve storage pockets. Reinforced Elbows Shoulder Pockets. Gusseted Sleeves. No Shoulder Seems to minimise discomfort. 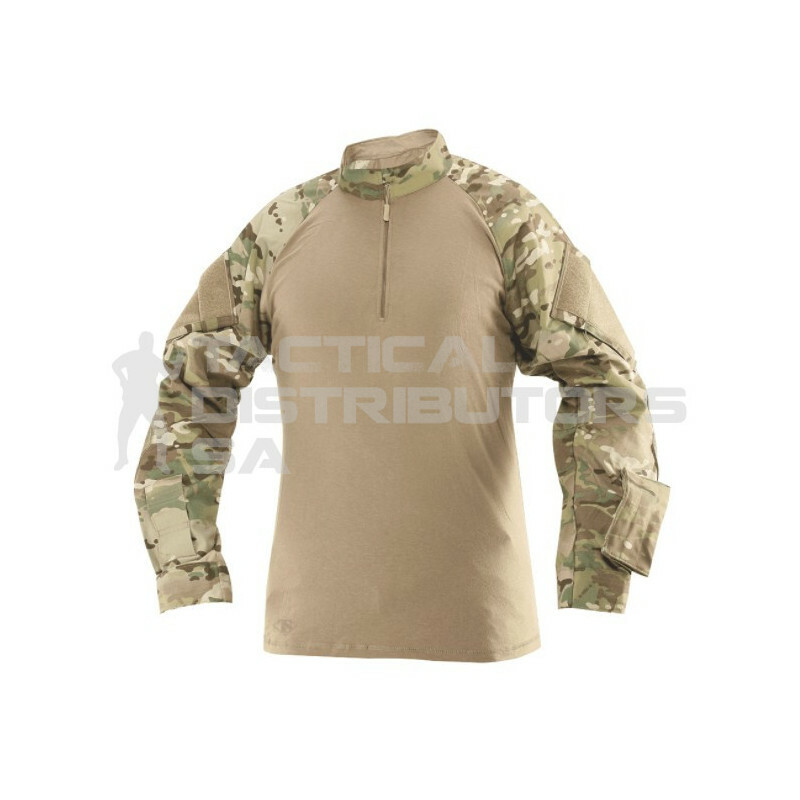 Loop on sleeves for attaching patches. Other Other Tru-Spec products available on request.